Lionel Messi stole the headlines for his performance against Tottenham in the Champions League last night, but his former team-mate Neymar had a night too. 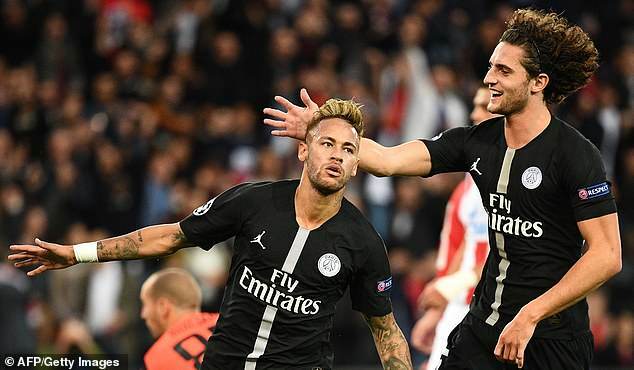 Paris Saint-Germain banged in six goals against Red Star Belgrade, and the Brazilian got three of them. As is tradition, the hat-trick taker took home the match ball, and he took to Instagramto pose with it alongside his girlfriend Bruna Marquezine. Two of his goals came from free kicks, which is the first time a player has scored twice from a direct free kick in a single Champions League game since Cristiano Ronaldo in 2009. His third goal also moved him alongside Kaka as the Brazilian with the most goals in Champions League history. He has 30 so far, and he has a lot of his career still to go. In total, he’s been involved in 49 goals in his 49 Champions League games so far. 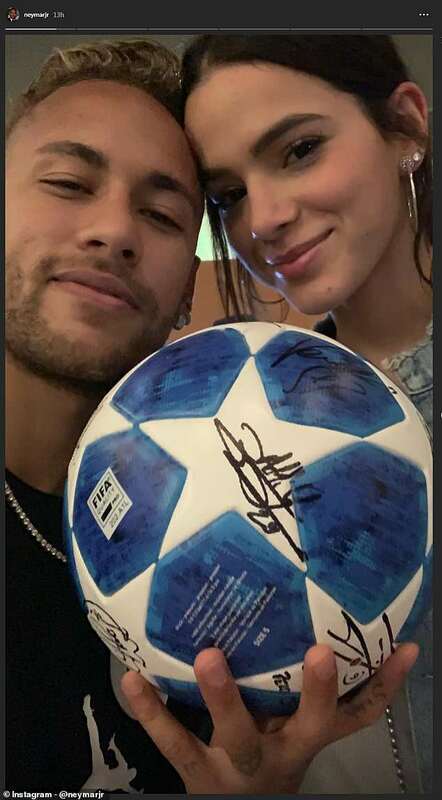 Neymar and his Brazilian actress girlfriend Bruna Marquezine, 23, took a snap with the signed match ball, which was posted on Neymar’s Instagram story. PSG are now back on track in the Champions League after losing a thriller against Liverpool a couple of weeks ago. Roberto Firmino came on and scored in stoppage time, injured eye and all, to take all three points. PSG are third in the group, but within touching distance with Napoli only managing a draw with Red Star Belgrade, but beating Liverpool last night. If PSG can get a win over the Italian side, they’ll be in a much stronger position.